Decks probably take the majority of abuse in colder climates. Winter can be especially harsh on a deck when moisture penetration and freeze/thaw damage is common. The key to a long lasting, beautiful deck in a cold region like Canada is using a stain that will hold up in tough conditions. 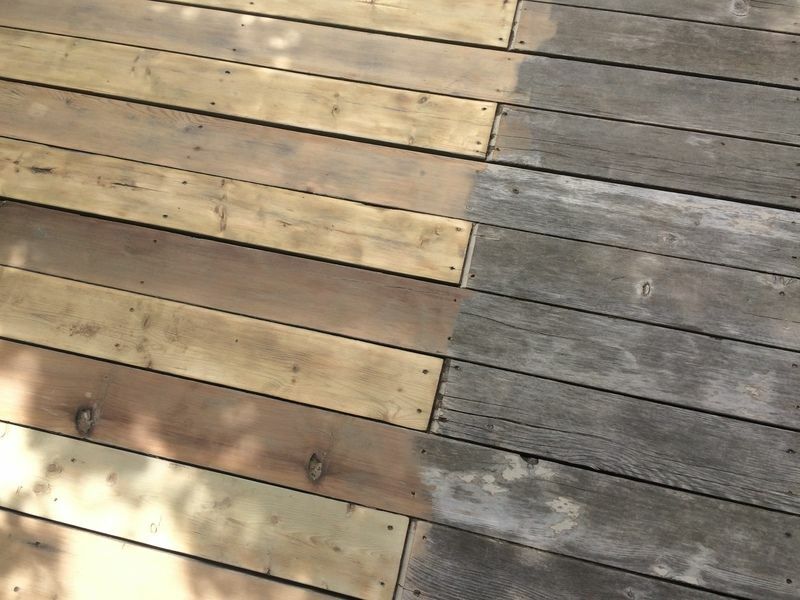 Oil based deck stains may be a good option but most of them are not compliant with Canada’s strict VOC laws. This makes water based deck stains a better option. With that said, finding a quality water based deck stain that will do the job may be a little difficult. Most water based deck stains are not known to penetrate or hold up well. That was however until Defy formulated a deck stain that uses new technology that is a first in the industry. A water based deck stain in Canada like Defy Extreme Stain is not only VOC compliant and eco friendly, it provides leading protection that will outperform all tinted transparent wood stains. Using light stabilizing particles and synthetic resins it blocks out harmful UV rays, prevents mold and seals the wood from water penetration. This is the key in preventing freeze/thaw damage. Defy even makes a clear formula that blocks out UV rays to prevent wood graying like no other clear water based deck stain on the market. The water based formula of Defy can also be used on other smooth or rough surfaces like wood siding, wood shakes, outdoor furniture and other hardwoods. It is easy to get around the stricter VOC laws by using a water based deck stain in Canada. With new stain technology these water based deck stains are not only durable enough to withstand harsh winter weather but they provide a beautiful finish by enhancing the wood grain’s natural beauty. Protect your investment and prolong the life of your exterior wood surfaces by using a water based deck stain in Canada. We have a pressure treated deck that was stained with a behr acrylic solid stain, now peeling. We are currently sanding the entire deck surface-railings are metal. What are my options if I never want to have peeling again? We live in Alberta, Canada and have temps from -22F to 90F in summer. Do I have to use a brightener if I have sanded the whole deck? The deck has a slight orange/cedar like tinge to it, even though it is pressure treated. would the 210 slate grey look OK on top of this color and do you have any sample photos on wood? Do you have any photos of the 210 slate grey? It looks on the beige side, which we would prefer, or does it really look grey like the Armstrong driftwood color? Armstrong-Clark would also work well in Canada? Sorry but no we do not. The AC would work well in Canada. Neither are beige in color. You should be fine with any of the TWP 200 Series colors. Do not sand with a grit finer than 80 as the stain will not soak in very well. Clean and brighten the wood for the final prep to open the wood grain.